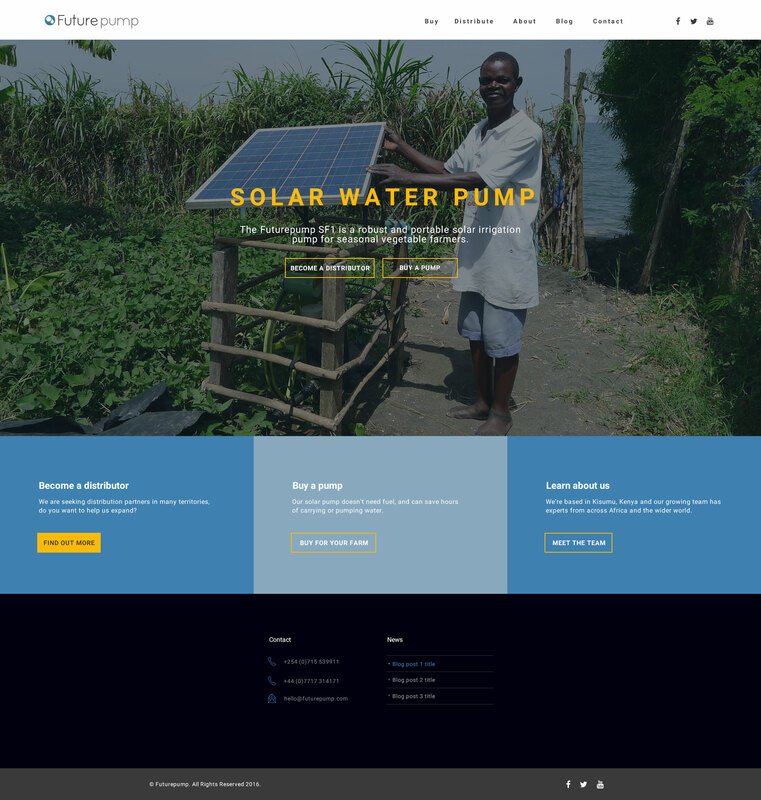 Futurepump needed a website that would enable their distribution network to grow, make their team more efficient and present the right messages to potential investors. I created a strategy and architecture for the new site, matched to their audiences and workflows. This was then designed and deployed, working with Fullsignal.